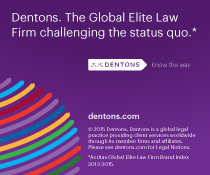 Dentons’ Russian Tax team would like to remind you that 28 February 2019 is the deadline for filing a special declaration with the Russian tax authorities to participate in the voluntary disclosure campaign (the so-called “capital amnesty campaign”). In addition, Russian tax resident individuals must liquidate their controlled foreign companies and non-corporate structures (trusts, partnerships and others) no later than 1 March 2019 for tax-exempt receipt of the liquidation proceeds. The voluntary disclosure (capital amnesty) campaign gives declarants an exemption from certain types of criminal and administrative liability, as well as from tax liability for offences committed before 2018, and associated with the disclosed bank accounts and assets. Participation in the voluntary disclosure (capital amnesty) campaign may be attractive for individuals who have decided not to liquidate their corporate or non-corporate controlled foreign companies (“CFC”), as well for individuals who have undeclared foreign bank accounts. To participate in the voluntary disclosure (capital amnesty) campaign, an individual must file a special declaration with the central office of the Federal Tax Service or with the individual’s local district tax authority in Russia. The special declaration is filed only once in the second round of the voluntary disclosure (capital amnesty) campaign, which means that declarants do not have a second chance to disclose additional assets. Therefore, it is of grave importance to assess the risks and assets to declare when carefully applying the guarantees in the voluntary disclosure (capital amnesty) campaign. Affected corporate and non-corporate CFCs must be liquidated by 1 March 2019 to be eligible for tax-exempt liquidation. The liquidation deadline might be extended, if a relevant resolution for the liquidation was adopted by 1 July 2018 but the CFC in question was unable to accomplish the liquidation due to restrictions and/or requirements set by the foreign domestic law of the CFC, or its involvement in litigation. In a number of jurisdictions, resolutions on the commencement of liquidation are public documents available on the local registration authorities’ web-portals. The tax-exempt liquidation period may also be extended if ownership in the foreign company began prior to 2015 and the Russian tax resident is required to pay foreign tax when liquidating the company. Kindly note that to be eligible for the tax-exempt liquidation benefit, an individual taxpayer must file a set of documents related to the liquidation and confirming the value of the property according to the accounts of the liquidated CFC, in addition to the tax return. If a CFC is liquidated before 1 March 2019 (including any applicable extension), the company cannot be recognized as a Russian tax resident. Which mitigates the quite serious risk of foreign companies effectively managed from Russia qualifying as Russian tax residents, with additional tax being charged at the 20% rate for prior periods. Although there is no court practice of foreign companies being compulsorily recognized as Russian tax residents, there is a risk that in 2019 the tax authorities will examine foreign companies already declared as CFCs. Obtaining the guarantees provided by Federal Law No. 140-FZ of June 8, 2015 on the Voluntary Declaration by Individuals of Assets and Bank Accounts (Deposits) and on Amending Certain Legislative Acts of the Russian Federation.